We were extremely excited to receive a KitchenAid Mixer as a wedding present from my sister and brother-in-law. I know so many people that have them and swear by them. And I always thought they were cool. Little did I know though how incredibly awesome they really are! We spent a little bit of time determining what we wanted to make first to “christen” the KitchenAid. Gingersnaps won! We both love these crunchy cookies. They are flavorful and are great either on their own or paired with ice cream, fruit, or pumpkin dip (which is one of the most addicting things ever put on this earth!). For gingersnaps, I always look to the Betty Crocker Cookbook. I always make these cookies at least a couple times a year. 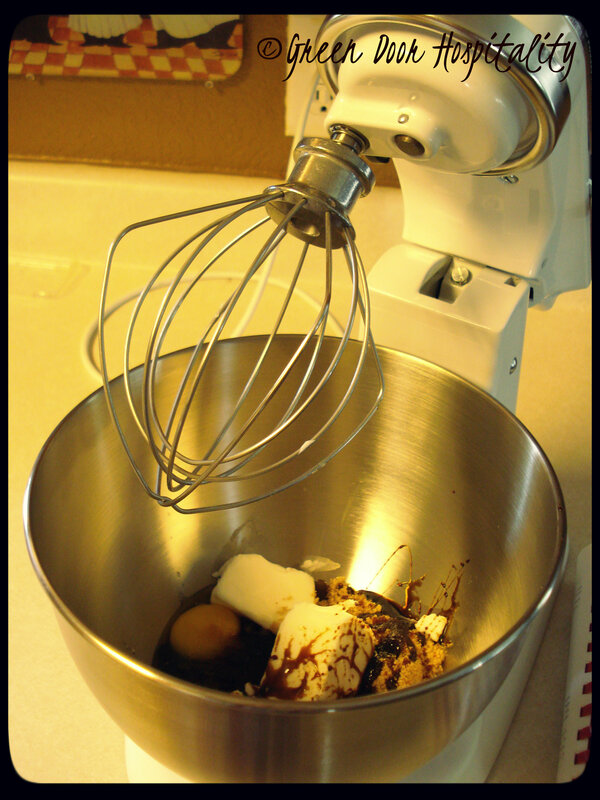 Utilizing the KitchenAid made mixing very quick and easy — plus I feel that it gave me a much creamier consistency! Now I’m wondering how I’ve lived and cooked/baked without one for so long!! Beat brown sugar, shortening, molasses, and egg in the KitchenAid (or in a large bowl with an electric mixer) until creamy consistency. In a separate bowl, combine the remaining ingredients, except granulated sugar. Lightly mix together with a spoon. Add half the flour mixture into the KitchenAid bowl and mix on low speed (if you go to fast the flour will spray out of the bow). Add the remaining flour and mix. Increase speed to medium until everything is thoroughly combined. Lightly grease cookie sheet with shortening or spray with cooking spray. Shape dough by rounded teaspoonfuls into balls (I actually just use my hands — find I have better control over size and ball shape). Dip tops into granulated sugar. Place balls, sugared sides up, about 2-3 inches apart on cookie sheet. Bake 10-12 minutes or just until set. Remove from oven and let sit for 2 minutes before removing from cookie sheet and placing on wire rack to cool. (I find that letting them set for just a moment to harden makes the cookie’s shape stay more roundly). Yields just over 4 dozen. Thanks for the shout-out! I’m glad you love your Kitchenaid as much as I love mine. They are truly one of the most versatile pieces of equipment you can own. And just wait until you see all the attachments available! Oh, that was one of the first things that we looked at!! My husband already has a list of which ones we need to get! I have the pasta roller (awesome) the lemon juicer (handy) and the meat grinder. The last has proved invaluable since we’re a hunting family and TRM and I process our meat in the kitchen. That grinder can stand up to 50+ pounds of deer meat without flinching! 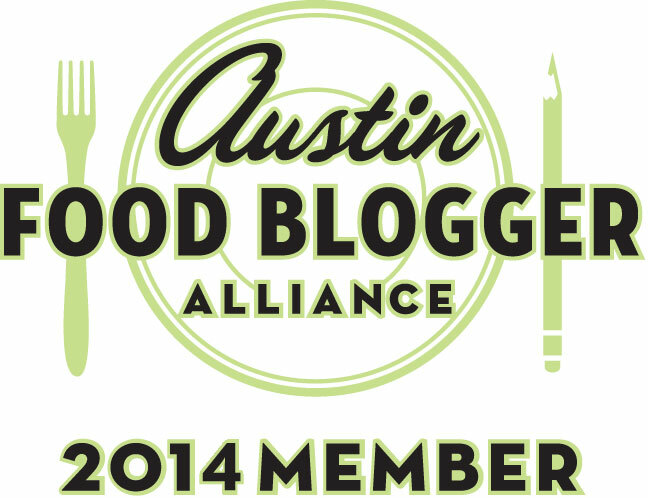 Good to know about the pasta roller and the juicer — both of those were already on our list! I know the ice cream maker is also one that we want! That is next on my list, too. Our hold hand-crank one broke when we moved, so I figured I’d replace it with something fancy and requiring less work from me! Thanks!! Our hand held “technically” still works — though it makes the saddest of noises and never seems to want to go past low speeds. So happy that we got the KitchenAid as a gift so I can get rid of the old mixer. I do highly recommend (perhaps you could assist your hand held in having an “accident”). I love Gingersnaps! I want to try these. And I LOVE my KitchenAid as well. I have a Kitchenaid and when it comes to my baking I couldn’t live without it. It is a workhorse in my kitchen especially in the fall and holiday time. Gingersnaps are a great cookie. Yes, I feel that the holiday season it is going to be working around the clock!! 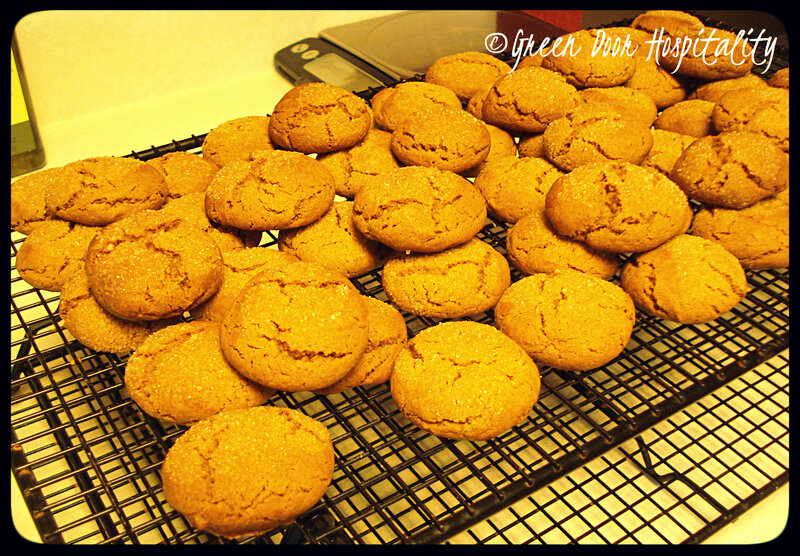 Love gingersnaps…and we can’t live w/out our kitchenaid. Baking, meat grinder, pasta maker and ice cream maker…does a lot. We can’t wait to get the pasta maker and ice cream maker attachment! This entry was posted on June 27, 2012 by Jessica Romigh in Casual Dining, Desserts, Recipes and tagged Betty Crocker Cookbook, cookie, dessert, food, gingersnaps, KitchenAid, kitchenaid mixer, vegetarian, wedding presents, Wife Meets Life.